When you think of high end expensive real estate in Southern California then Malibu is one of the first cities to come to mind. Known as the celebrity haven for the Hollywood types who want to live in a beach community on the outskirts of Los Angeles. The city of Malibu is more diverse than you would think with high end luxury beach front communities mixed in with affordable condos in the Malibu bowl area. What makes Malibu distinctive is the level of privacy that a lot of the homes afford. Many homes are located on large parcels of land that overlook the Pacific Ocean with no sight of neighbors on either side of you. The city itself is broken down into homes that area located on the beach front, properties in the canyon and hills area, and communities located in between these two. Below is our guide to Malibu Real Estate. 1) Beach Front. 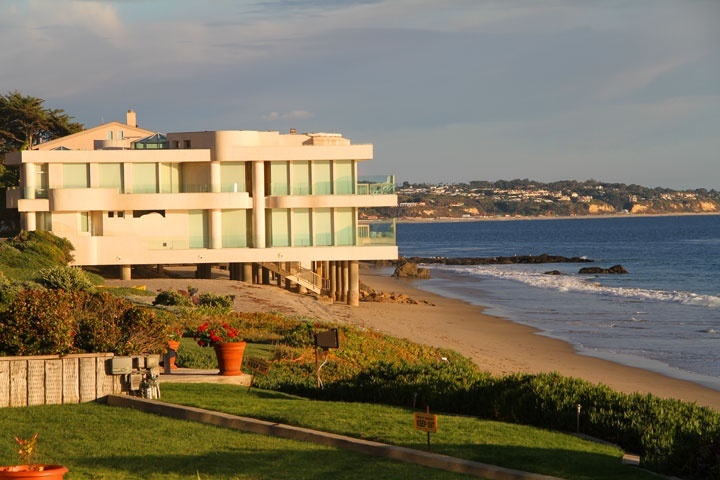 There is no better place to find a wide variety of beach front homes than in Malibu. One drive down Pacific Coast Highway and you will soon learn that the majority of the sandy beaches are occupied by luxury high end homes located directly on the sand. This starts from the southern city limits near Las Tunas beach and continues all the way down to the County Line beach near the Los Angeles and Ventura county lines. Homes like those found on Las Tunas beach and County line are not located in a gated community but are built directly on the sand and elevated on wooden stakes to avoid damage during high surf. Communities like Broad Beach, Latigo Shore and Carbon Beach that offer some of the most beautiful properties located on the sand in a non gated environment. You will also find beach front communities like Malibu Cove Colony, Malibu Rd, Victoria Point and Sea Level Drive that offer beachfront living in a secure gated environment. This also includes beachfront condos that can be found in communities like Malibu Bay Club and Malibu Outrigger. 2) Cliff Side Mansions. Malibu also has a very large percentage of bluff front and cliff side estate homes. These mansions are normally located on very large lots that can start from Pacific Coast highway and continue all the way to the ocean front. Many of these luxury properties will have guest homes, tennis courts, pools and large entertainment spaces to take in the wonderful ocean and sunset views. These are especially popular with the Hollywood celebrity types as they afford the maximum in privacy and security. Home prices for these mega mansions can range anywhere from $10 to $60 million dollars depending on the size and location of the home. If you have ever seen images of large and beautiful homes in Malibu then you are most likely looking a cliff side home. 3) Canyon Homes. Malibu covers a lot of city land with homes located high in the canyon hills that overlook the ocean. These homes can either be located in solitude by itself with no surrounding neighborhoods or be located in a small canyon community. These hillside homes are very diverse from high end luxury properties to small single family homes. Communities like Sea View Estates and Encinal Canyon will have traditional single family homes with higher end communities like Trances Canyon and Bonsall Canyon that offer huge estate homes that overlook the ocean. One thing to consider when looking at a canyon homes is the potential for wild fire. Malibu has had many instances where fire have endangered and burned these canyon homes. Make sure you do your due diligence when looking at homes in this location. 4) Small coastal communities. 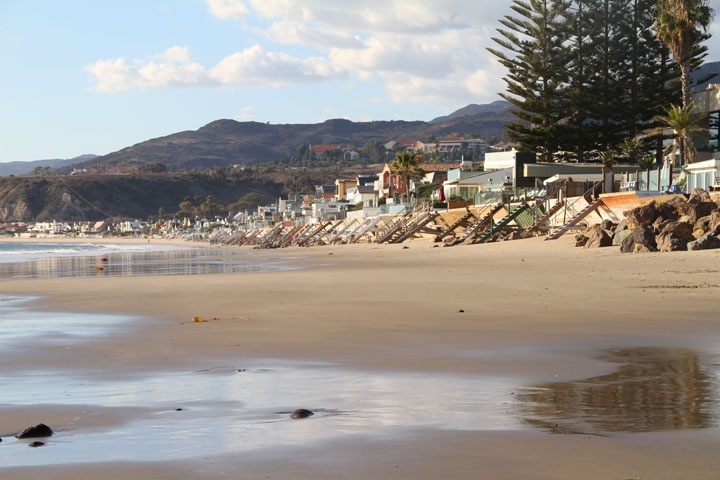 Malibu also has many small coastal communities that are located in both gated and non-gated areas. Some of the more exclusive gated communities like Serra Retreat are home to many of the celebrities that call Malibu home. Other non gated communities like Winding Way, La Costa Hills, Las Flores Mesa and Zuma Canyon offer coastal ocean view living are popular for those looking to live in homes on larger lots located near the water. This also includes many of the smaller condo communities that can be found near the city center and includes buildings like Maison De Ville, Vista Pacficia and Toscana that offer condo living in the heart of Malibu. Malibu has so much to offer no matter if you are looking for a large mega mansion or a small traditional style home. Architectural stimulating homes can be found all throughout Malibu as well that include luxury Contemporary, Mediterranean and Cape Cod style homes. We encourage to visit all the communities located here in Malibu and contact us with any questions. Malibu has many nuances and secret places that can only be shared from those who live in this great beach community. "A Malibu beach front home has just been leased by Andrew McDonald of Beach Cities Real Estate who represented the tenant in this real estate transaction. nbsp;23952 Malibu Road, Malibu leased for $... "
"A Malibu home in the Las Flores Canyon community has just been sold by Beach Cities Real Estate agent Barrie Livingstone. nbsp;The home located at 1803 Manzanita Park Ave sold for $1,515,000 and cl... "
"A Malibu Lot has just been listed for sale by Beach Cities Real Estate agent Barrie Livingstone. nbsp;The land located at 31866 Sea Level Drive has just come on the market for sale at $1,250,000. n... "
"Andrew McDonald of Beach Cities Real Estate has been featured in three television episodes that aired on the Discovery Networkss Channel, Destination America and is called Whats For Sale... With A... "
Based on information from California Regional Multiple Listing Service, Inc. as of April 21st, 2019 at 9:32pm PDT. This information is for your personal, non-commercial use and may not be used for any purpose other than to identify prospective properties you may be interested in purchasing. Display of MLS data is usually deemed reliable but is NOT guaranteed accurate by the MLS. Buyers are responsible for verifying the accuracy of all information and should investigate the data themselves or retain appropriate professionals. Information from sources other than the Listing Agent may have been included in the MLS data. Unless otherwise specified in writing, Broker/Agent has not and will not verify any information obtained from other sources. The Broker/Agent providing the information contained herein may or may not have been the Listing and/or Selling Agent.